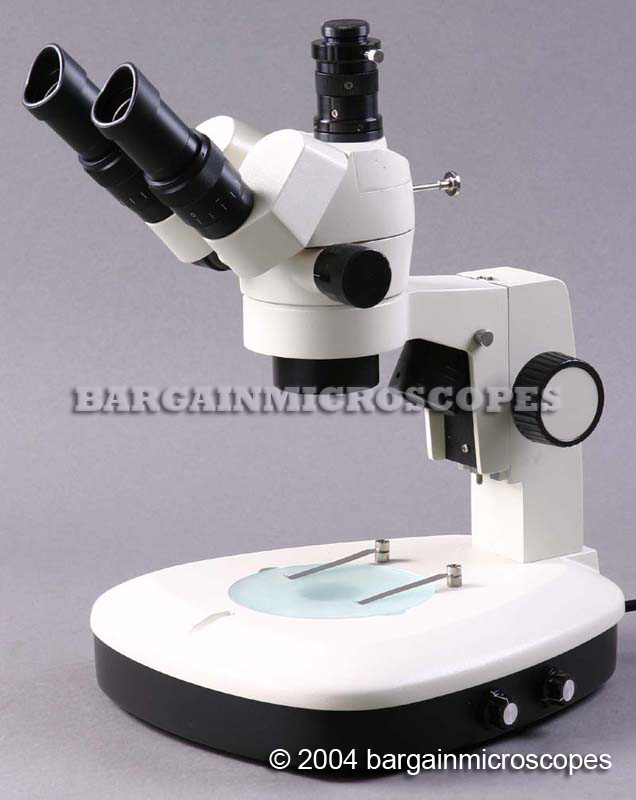 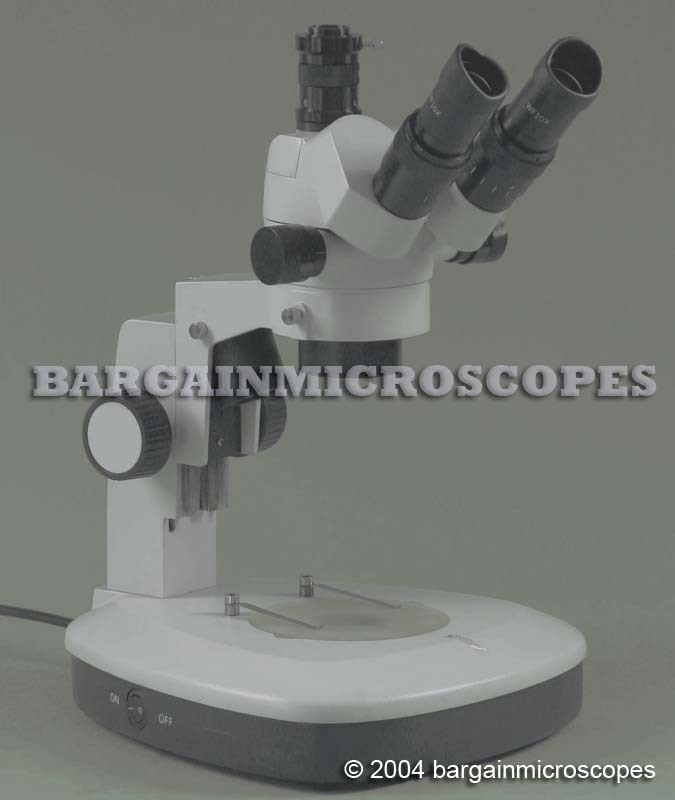 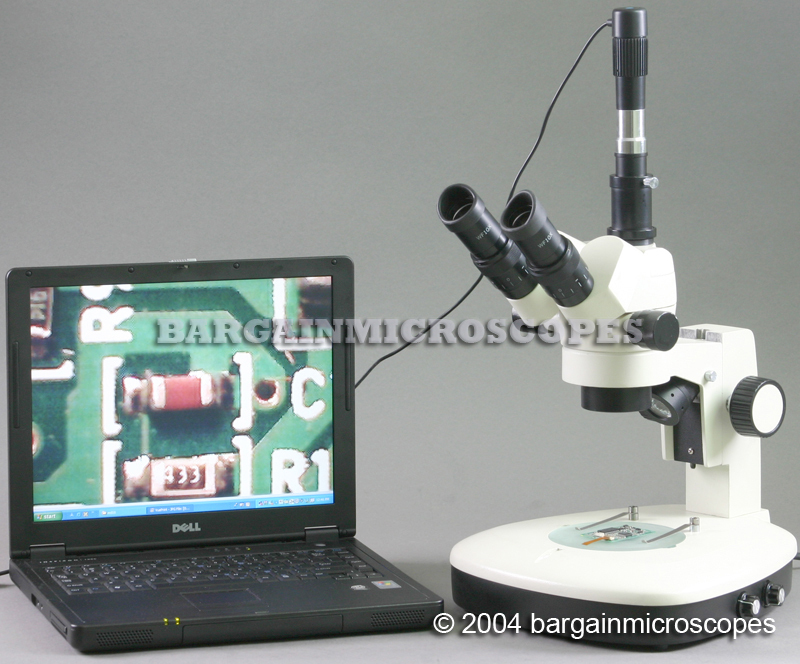 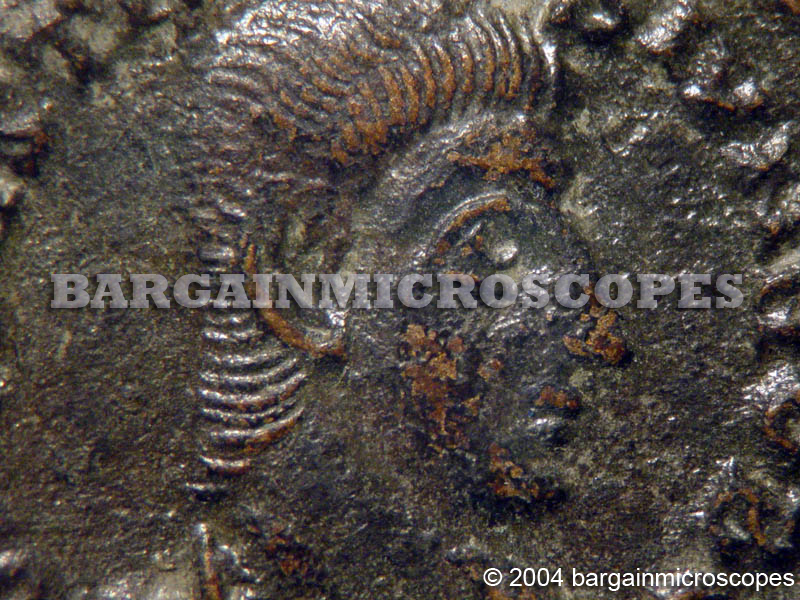 Professional Stereo High Ratio Zoom Trinocular Microscope! 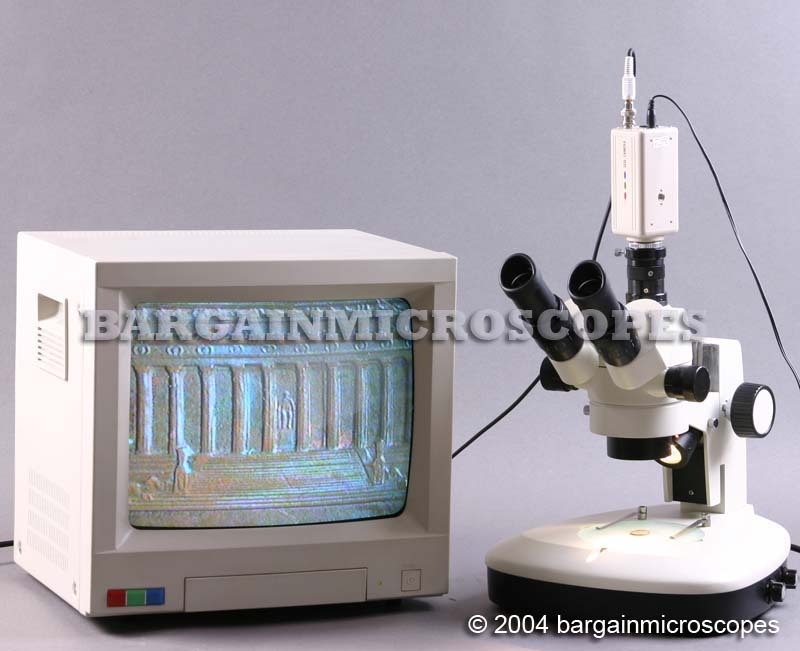 Bright and Clear 3-D Stereoscopic Images! 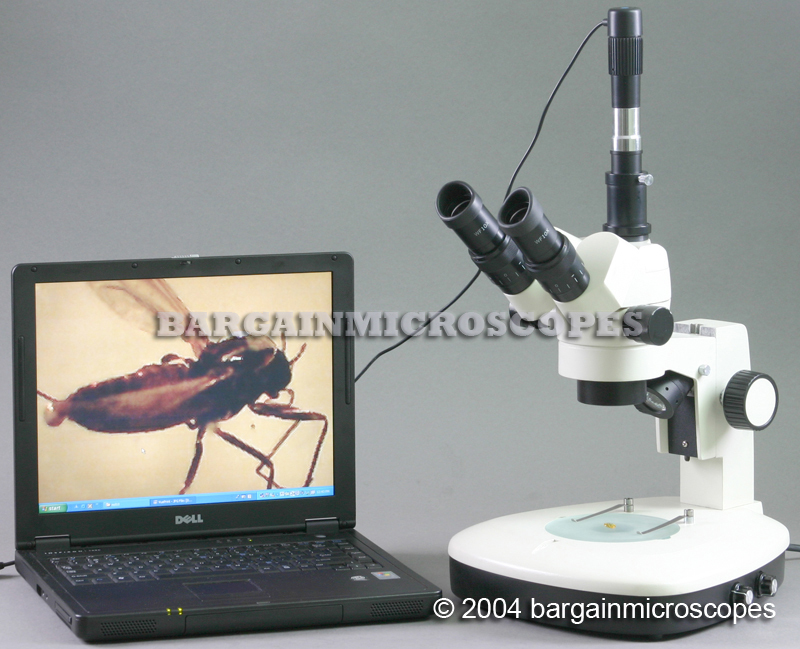 Perfect for Studying Plant-Animal-Mineral Specimens. 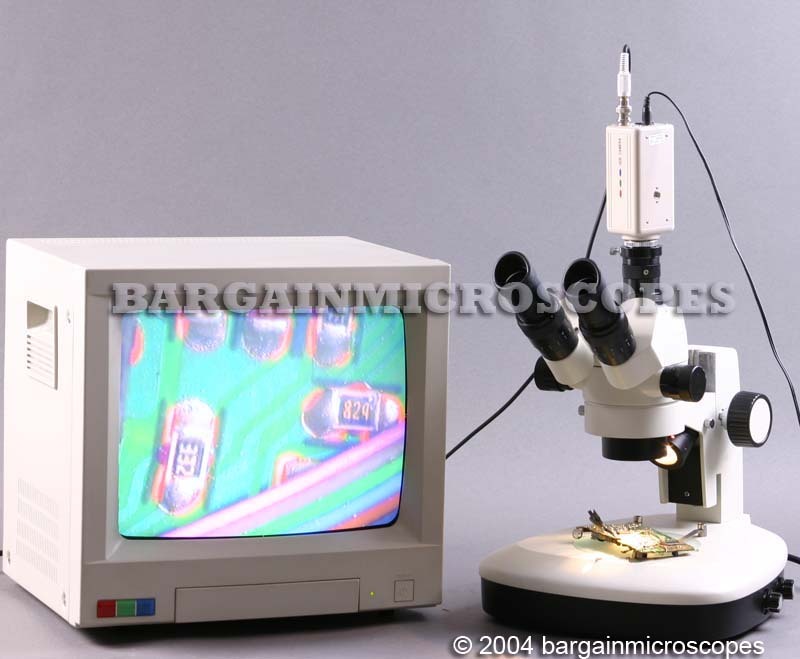 Also Fits Many Industrial Applications! 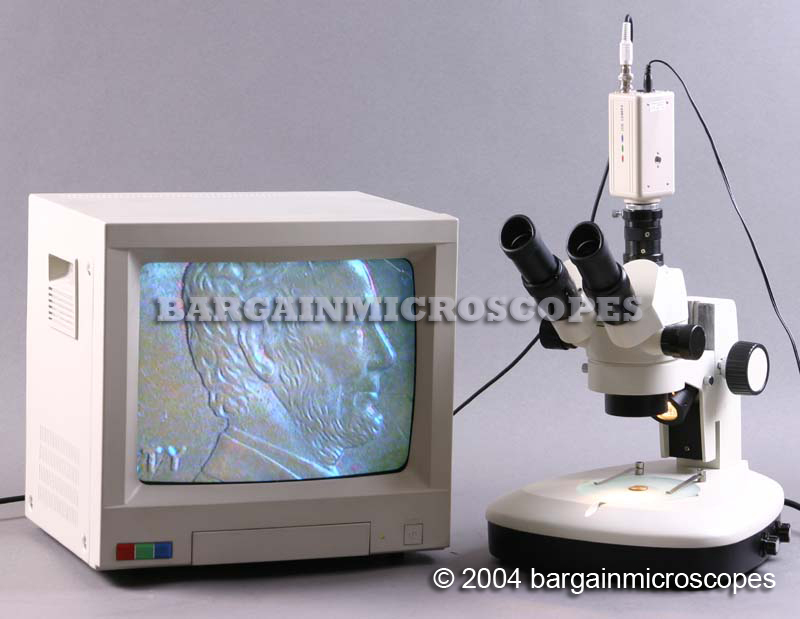 Great for Gemologists, Collectors, Engravers, Document Examiners, Students, Schools, Research Labs, QC Stations, and for Circuit Board Inspection and Repair. 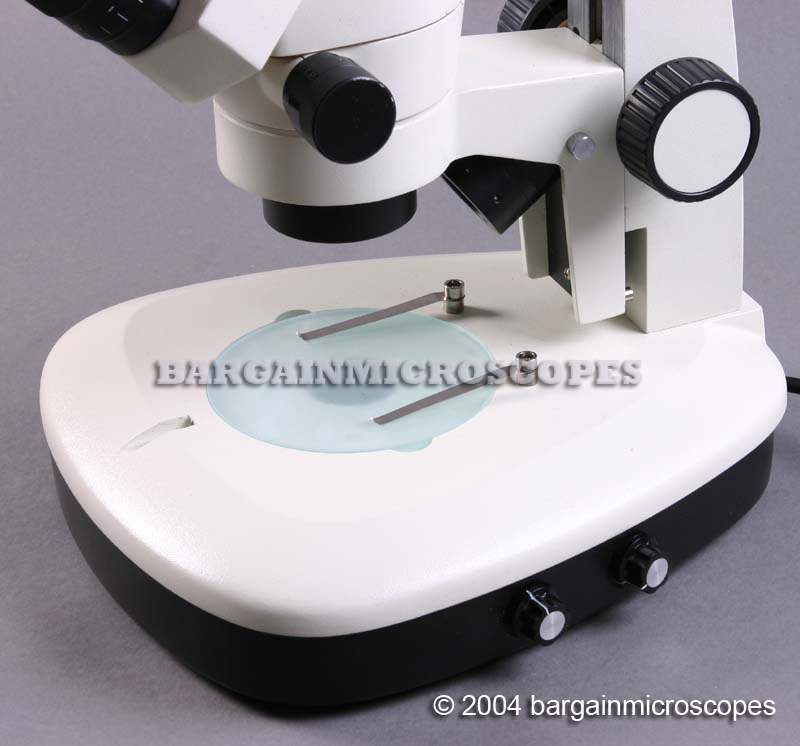 Bonus travel case included for safe storage and transportation of your microscope. 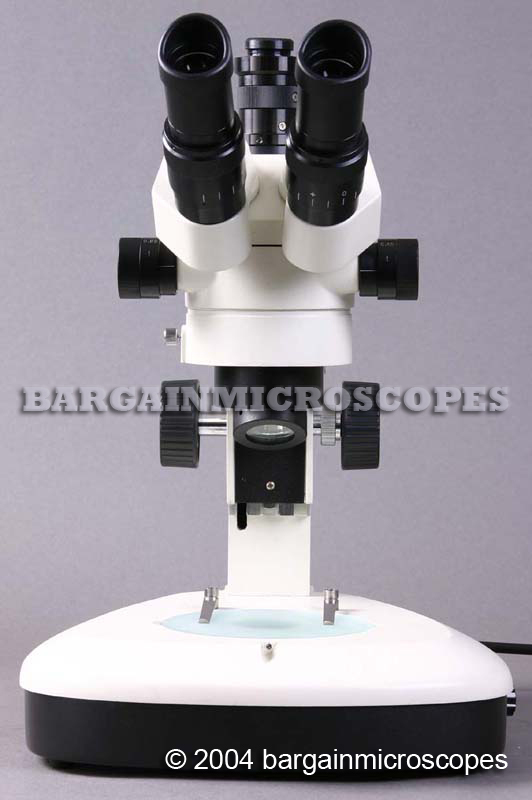 Excellent High Ratio Zoom Range (Without Changing Eyepieces): 6.5x – 60x Continuous Magnification, With Included 30mm Wide Field 10x Eyepieces. 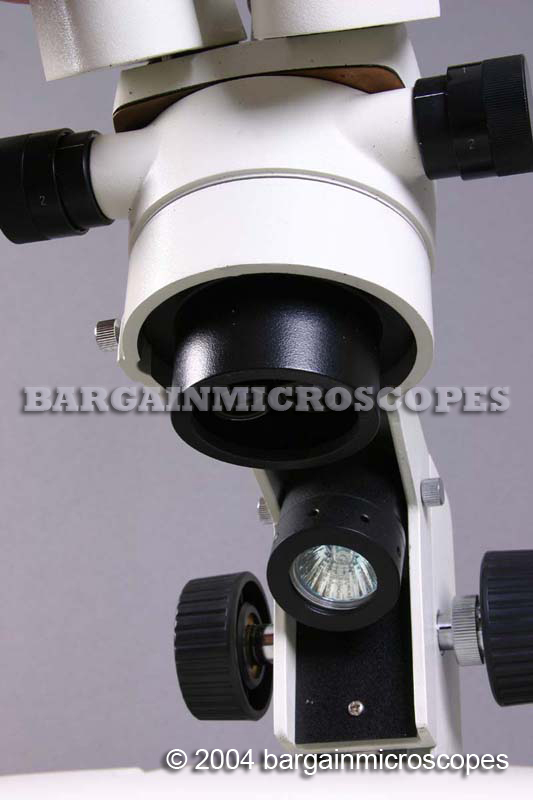 Independent Variable Intensity Dual Halogen Upper and Base Illumination: 15W with Built-In Reflector (Upper), 6V/12W (Base). 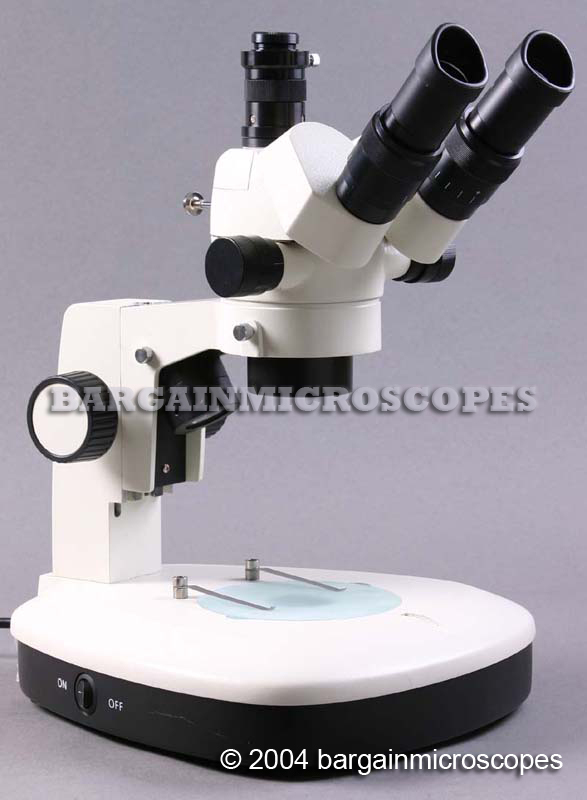 Total Overall Height of Microscope: 470mm. 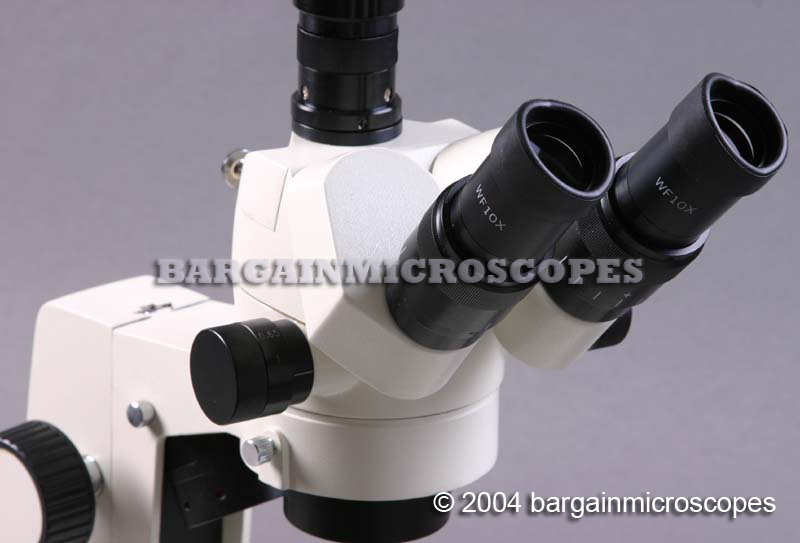 Includes: Standard 1x c-mount for attaching ccd video camera equipment. 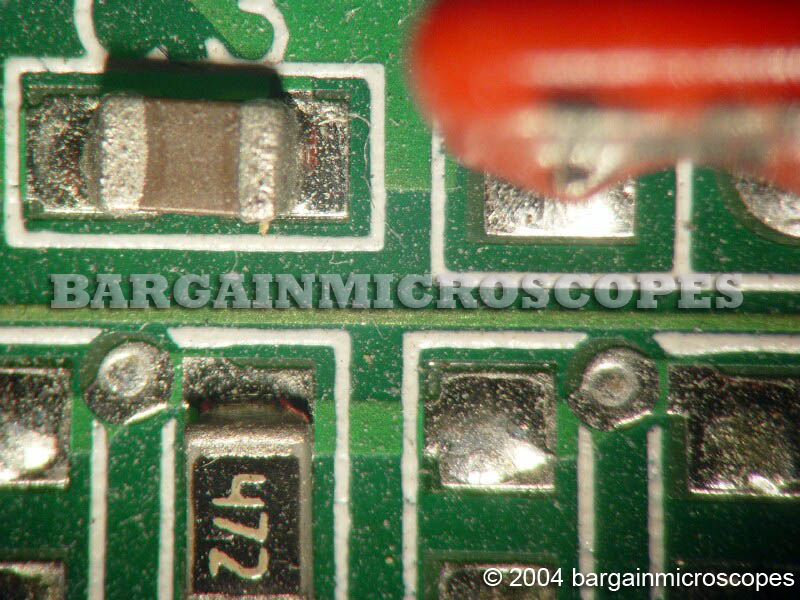 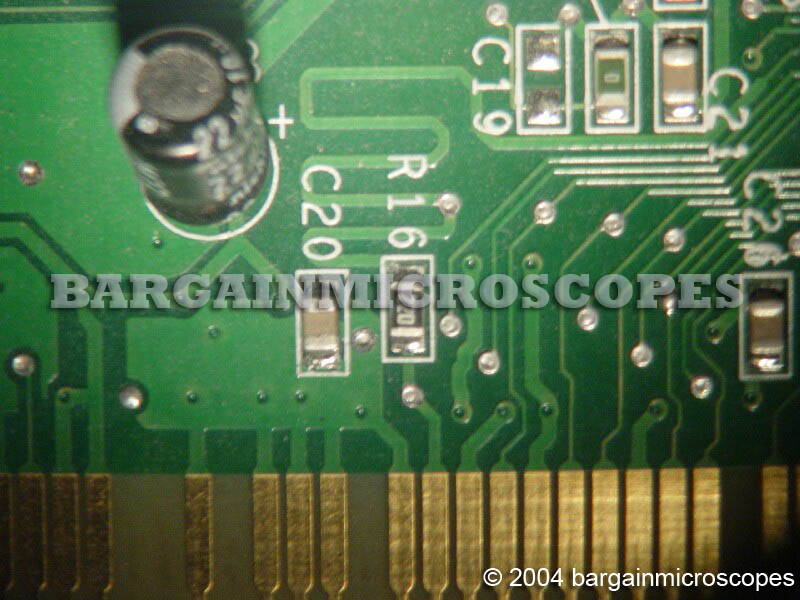 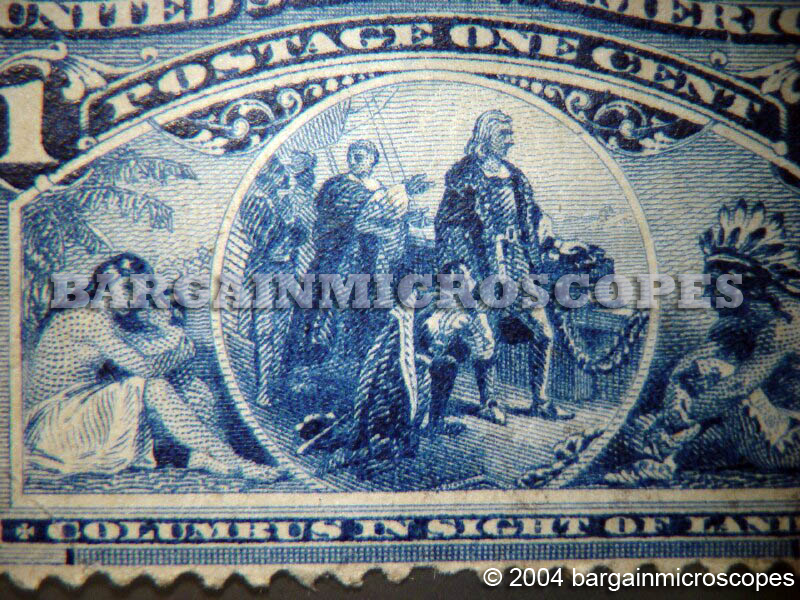 Includes: Standard 23mm ID phototube for attaching various microphotography and image capture devices.